ActivityBreaks.com is proud sponsor of the Stena Line Belfast Giants and their alternate captain Brandon Benedict for the 2016/2017 Elite Ice Hockey League season. As a Northern Ireland based company, specialising in providing our customers with a range of exciting sporting and activity holiday experiences across Europe, we had no difficulty in knowing that the Stena Line Belfast Giants were the ideal partners for ActivityBreaks.com. ActivityBreaks.com is proud sponsor of the Stena Line Belfast Giants player, Brandon Benedict. Brandon who hails from Halifax, Nova Scotia currently plays as centre and is enjoying his second spell in teal. In his Giants career to date, Benedict has posted 45 goals and 103 assists, good for 148 points in 170 games played. Since the year 2000 the Stena Line Belfast Giants have been taking Northern Ireland by storm and providing their legion of fans with a thrilling experience every night the team take to the ice at the SSE Arena in Belfast. The SSE Arena Belfast is the home of the Belfast Giants and opened its doors in 2000 with the first Belfast Giants game against Ayr Scottish Eagles in front of a sell-out crowd of 7,000 fans. The Giants lost their first game but they achieved something much greater; they stole the hearts of an entire nation and kicked started the ice hockey phenomenon in Northern Ireland. 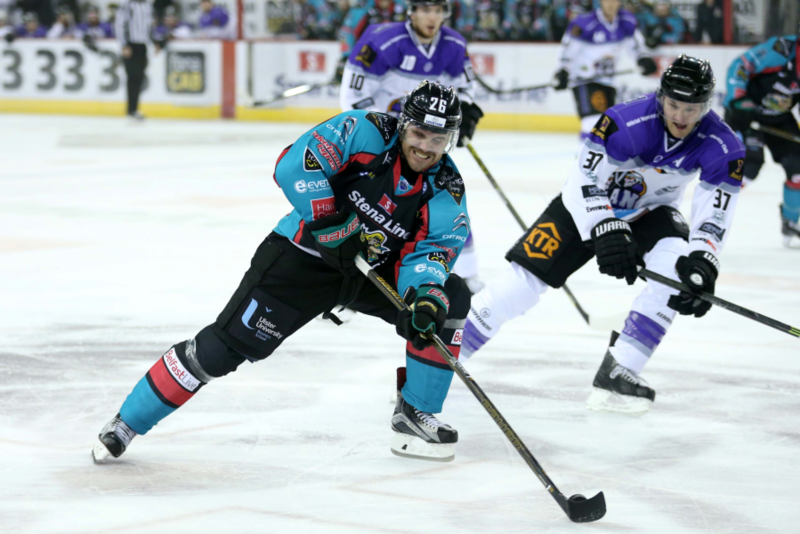 The Stena Line Belfast Giants have become unbeatable at home games due to the atmosphere and sell-out crowds at the SSE Arena. Over the past 16 years the Belfast Giants have won a total of 8 trophies, including the Elite League Championship, Super League Championship, Playoff Championship, and Erhardt Conference. ActivityBreaks.com is proud to sponsor the Stena Line Belfast Giants Brandon Benedict and we looking forward to developing this partnership in the future.